1 What Is Back Surgery? In most cases, back surgery is considered when a patient has exhausted all other treatment options with limited success in terms of managing their symptoms of pain. In these instances, the patient’s symptoms have become so severe that they have begun to interfere with their day-to-day functioning. For instance, the patient may begin to have trouble getting around, difficulty doing the things that they need to do for work, trouble sleeping, or struggle to perform other regular daily activities. Ideal back surgery candidates typically fall into one of two groups. The first group includes patients experiencing symptoms associated with sciatica, spondylolisthesis, vertebral fractures that affect specific nerves within the back, herniated intervertebral disc, or chronic and severe low back pain. The second group is comprised of patients reporting discogenic back pain (i.e., symptoms related to degenerative disc disease) and pain within the lower back without concurrent symptoms of leg pain. There are some conditions that warrant immediate back surgery. The most common of these conditions include trauma-related injuries, cauda equine syndrome, and conditions associated with progressive neurological loss. A large proportion of back surgery procedures, however, occur as the result of many previous trials of unsuccessful treatment. For example, appropriate candidates for back surgery have generally undergone unsuccessful trials of over-the-counter (OTC) medications, prescription medications, physical therapy, and even corticosteroid injections, before being considered for surgery. Indeed, back surgery is not guaranteed to relieve all instances of back pain. When a patient is considered for back surgery, they will undergo imaging of their back and spine. This can be done with an X-ray device or magnetic resonance imaging (MRI). This will aid in determining the appropriate type of back surgery required to treat the patient’s unique condition. There are a number of different types of back surgery procedures and, as with all other surgical procedures, there is some associated risk. The benefits that back surgery can provide many patients, however, can offset these risks. Patients may experience significant relief from severe and chronic symptoms of pain and discomfort. Moreover, this relief from debilitating symptoms can have many other beneficial effects on the patient’s life. 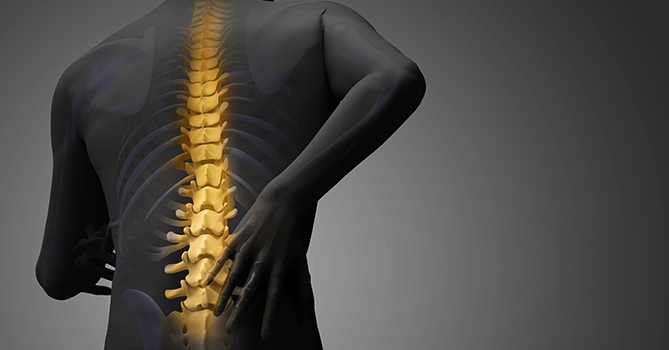 One study examined the benefit and risk ratio of undergoing back surgery versus engaging in an intensive pain rehabilitation program. The findings from this study revealed that, for a small portion of cases, patients undergoing intense rehabilitation achieved equivalent improvements in pain symptoms and associated distress, when compared to patients undergoing back surgery. As such, it is important for patients to speak with their physician about whether back surgery is right for them. There are a number of conditions that can be effectively treated with back surgery. Several of these are discussed below. Spinal stenosis is one condition that may be treated with back surgery. This condition is caused when the protective passageway of the spinal canal narrows and places compression on the nerves within, including the spinal cord and other spinal nerves. This compression can be caused by a tissue overgrowth or impingement, such as when ligaments thicken due to injury and inflammation. Compression may also occur as the result of an overgrowth of bone due to arthritis. The symptoms associated with this condition include pain, numbing sensations, and weakness within the feet, legs, buttocks, and back. The location of these symptoms generally depends on the location of the compressed nerve. In cases of extreme nerve entrapment, patients will complain of pain that is so severe that it interferes with walking, tingling and numbness within the legs, and also loss of bladder and bowel control. Herniated disc is a condition that occurs when the protective cushioning that is found between the spinal vertebrae becomes damaged. More specifically, between each pair of vertebrae in the spine lies an intervertebral disc. This disc is comprised of multiple layers of fibrocartilage and a gel-like core. The structure of the intervertebral disc allows it to function as a shock absorber between the bones of the spine, and aids in the movement and flexibility of the spinal column. An intervertebral disc can become damaged, or herniated, through simple daily wear and tear over time causing the tissue of the disc to deteriorate. This can cause the fibrous outer layer to break down and even rupture, leading to a bulging out of the inner gel-like core. The symptoms associated with a herniated disc are caused by the compression placed on the surrounding spinal nerves and other nearby tissue, and can commonly include severe pain, numbness, tingling, and muscle weakness. This condition, also known as a ruptured or slipped disc, can occur at any location along the spine. The most common location of reported herniated intervertebral discs is in the lower back. In very few cases, a herniated disc does not lead to any symptoms of pain or discomfort. As such, in these rare instances, the patient may go several years before being diagnosed with a herniated disc. Sciatica is a pain condition that is most commonly associated with a herniated disc within the lumbar region of the back and can be effectively treated with back surgery. Other common causes of sciatica pain include isthmic spondylolisthesis, lumbar spinal stenosis, piriformis syndrome, and sacroiliac joint dysfunction. The symptoms of sciatica include pain, numbness, and muscle weakness in the lower back, buttocks, and legs. This condition may also be related to loss of bowel or bladder control. The symptoms of sciatica emerge as the result of compression, irritation, and inflammation of the sciatic nerve, which is the large nerve bundle that originates in the lower back and runs through the buttocks to the back of the legs. Spondylolisthesis is a condition that occurs as the result of a vertebra slipping out of line, along the spinal column, and onto the vertebra below it. The vertebrae within the region of the lower back are most susceptible to spondylolisthesis. Once a vertebra has slipped out of place, the spine will attempt to stabilize itself. Injury, irritation, and inflammation within the area, as a result of this disturbance, is likely to place excessive pressure on surrounding neural tissue and other nearby structures. Symptoms associated with spondylolisthesis can include pain, muscle weakness, and numbing within the legs. This condition may also be associated with sciatica pain. Patients experiencing loss of function of the bladder or bowels should contact their doctor immediately. Fractures of the bones that comprise the spinal column are known as vertebral fractures or vertebral compression fractures. The most frequently identified cause of fractures of vertebral bones is osteoporosis. This condition is associated with a degeneration and breakdown of the patient’s bones, which makes them increasingly more prone to breaks. Indeed, vertebral bones may also become fractured as the result of a blunt force trauma. Symptoms associated with vertebral fractures include severe and chronic back pain, particularly when walking, sitting, standing, or lifting objects. In some cases, patients may report difficulty twisting or bending at the waist, a spinal deformity (e.g., curvature of the spine), or even height decrease. Depending on which spinal nerves are affected, vertebral fractures can lead to pain that radiates to the extremities. Patients experiencing more than one vertebral bone fracture are at risk for developing constipation, appetite loss, protruding stomach, or weight loss. For patients, who have experienced a decrease in overall height, it is not uncommon for them to report difficulty breathing. Discogenic low back pain, or degenerative disc disease, is a condition that typically occurs as the result of normal aging, and can be effectively treated with back surgery. Over time, daily wear and tear on the structures that comprise the spine can cause a breakdown of soft tissue. This includes intervertebral discs, which are the protective padding that lies between the bones of the vertebrae. This wear and tear can weaken the protective outer layer of the intervertebral disc. This outer layer can then burst. In some instances, this may lead to fluid loss within the intervertebral disc, which increases the risk for further damage. Patients considering back surgery must undergo a thorough evaluation with a trained physician who specializes in spinal conditions. Potential back surgery patients engage in an in-depth background interview, during which the physician will gather information regarding the patient’s past medical history, family history, and details regarding current condition and functioning. The performing physician will also conduct a full physical evaluation, which generally includes tests of flexibility and muscle strength. These tests assist the physician with pinpointing the precise location of the pain. Once these procedures have been performed, it is common for physicians to use imaging techniques to assist with diagnosing the specific cause of the low back pain before making a recommendation in terms of surgery. Some physicians will begin with the use of an X-ray device. This technique provides a visualization of only dense tissue (i.e., bones) and, as such, is somewhat limited in terms of its use in diagnosing conditions affecting the soft tissue (i.e., intervertebral discs). For this technique, the physician will use MRI, which provides a detailed image of the underlying structures of the body using radio waves and a magnetic field. Similar to the MRI, a computed tomography (CT) scan can also provide a visualization of the internal structures. Tumors, protruding intervertebral discs, or other abnormal bone changes can be seen through the use of a CT scan, aided by the use of contrast dye. For this technique, a local anesthetic is injected first into the patient’s lower back region. This serves to numb the area. Then a spinal tap, or lumbar puncture, is performed to provide information regarding possible injuries to the underlying structures, which could account for the patient’s severe and chronic back pain. Bone scans are another type of imaging technique that is generally used to explore for possible vertebral fractures, bone infections, malignancies, or arthritis along the spinal column. A discography can also be performed to provide visual information regarding the internal structure of the intervertebral discs. Similar to the CT scan procedure using contrast dye, the discography is performed using local anesthesia. A contrast dye is inserted into the intervertebral disc using guidance from either the X-ray device or the CT scan. Once the contrast dye is injected, the physician can assess the disc for possible injury or degeneration. In some instances, electrodiagnostics may be used to provide critical information regarding which spinal nerves are affected. These tests include electrical stimulation of somatosensory evoked potentials (SSEP) and electromyography (EMG). In some cases, results from injections or diagnostic blocks are highly effective in providing the physician with information regarding which nerves have been affected. Further, these techniques also offer clues to the physician regarding how the patient may respond to a certain surgical technique or procedure. During the diagnostic block procedure, an injection needle is inserted in the spinal column at a specified location, depending on the affected neural tissue, using an imaging technique such as an X-ray device or fluoroscopy as guidance. Once the injection needle has been properly placed within the spinal cord an anesthetic medication, such as a corticosteroid, is injected directly into the area of the affected spinal nerves. In some nerve block techniques another chemical, such as alcohol, may be injected to ablate (i.e., permanently damage) the affect neural tissue. Both of these techniques are effective by their role in blocking the transmission of pain signals to the brain. Should these techniques be effective in reducing the patient’s degree of pain, the physician will have useful information for the type of surgical technique to employ. In fact, studies examining the effectiveness of back surgery have suggested that positive outcomes achieved from repeated nerve blocks are predictive of positive outcomes following back surgery. It is a widely accepted practice for physicians to prefer that the patient have undergone two successful diagnostic blocks prior to recommending that the patient undergo surgery. Depending on the type of underlying condition, there are a variety of methods for performing back surgery. A discectomy is a commonly performed procedure to treat severe and chronic pain associated with a herniated disc or degenerative disc disease. This technique involves surgically removing the injured or damaged portion of the intervertebral disc. Generally, imaging techniques to verify the presence and location of the damaged intervertebral disc are performed prior to the procedure. The incision used for a discectomy is generally only around two inches long. Studies examining the effectiveness of a discectomy have suggested that most patients will experience an almost immediate relief from pain following the procedure. Moreover, these benefits are expected to last for a year or longer. In order to minimize the risk for damaging healthy tissue and to reduce the size of the incision, a microdiscectomy may be performed. This technique utilizes a much smaller incision. A magnifying microscope is inserted and used as a guide for removing the damaged portion of the intervertebral disc. While the incision site is much smaller for a miscrodiscectomy, previous studies have revealed similar recovery times to that of the traditional discectomy. Laser disc surgery is a surgical technique developed to treat herniated intervertebral discs. For this procedure, a needle is guided to the affected intervertebral disc. Once the needle is in the proper location, pulsations of heat that are generated by a laser are applied to the area. This acts to vaporize the affected tissue of the intervertebral disc. Results of this procedure have indicated that laser disc surgery can lead to significant reductions in the overall size of the disc. This, in turn, decreases the compression placed on nearby tissue, including neural tissue, which is believed to be the primary mechanism for pain relief from this technique. A large portion of patients will return to their regular daily activities within three to five days following the procedure. Patients can expect full pain-relieving results to take from several weeks to several months to be achieved. A foraminotomy is a procedure frequently used to treat spinal stenosis. This technique is performed by surgically removing pieces of vertebra bones. The bone can also be shaved down during this procedure. The goal is to increase the width of space where nerve roots project out from the spinal cord. This then reduces the degree of possible pressure placed on neural tissue. Additionally, this procedure has been shown in some cases to increase the mobility of the spine itself. If the patient has been deemed to have significant spine instability, a spinal fusion may also be performed during this procedure. This is ideal, as it reduces the required amount of operation and recovery time. The foraminotomy is typically recommended to treat patients who have complained of severe and chronic pain within the shoulders, arms, hands, lower back, thighs, or calves. In particular, physicians prefer this procedure for patients who report that their symptoms are constant or increase with movement. Other symptoms include muscle weakness, numbness, and tingling sensations. The laminectomy is also known as the decompression laminectomy. The laminectomy is regarded as one of the most commonly performed surgical procedures for treating spinal stenosis. Similar to other back surgery procedures, the goal of the laminectomy is to reduce the degree of pressure placed on the spinal cord and associated spinal nerves, which are believed to be the source of the patient’s symptoms of pain and discomfort. For this procedure, however, a large incision is necessary, as the lamina, or the back portion of the vertebra that covers the spinal cord, is removed. Other tissues such as ligaments or bone spurs that are related to the excessive compression are also removed. Bone spurs are protruding pieces of bone that occur when the bone attempts to repair itself. Similar to the foraminotomy, a laminectomy can be performed in conjunction with a spinal fusion, should it be necessary to provide stabilization to the spinal column. Patients can expect full pain-relieving benefits from the surgery within three months of the procedure. Moreover, results have suggested that these benefits can last up to four years. Some follow-up studies have found that pain relief is maintained eight to ten years later. The procedure known as spinal fusion is typically used to treat spondylolisthesis. This invasive technique requires that two or more vertebral bones be fused together with the use of bone grafts, screws, or rods. The goal of this procedure is to correct damage that was caused by the slipping of a vertebral bone on top of another vertebral bone. It is common for a spinal fusion to be performed in conjunction with the laminectomy to provide support to the spinal column. During this procedure, pieces of vertebral bone are removed from the hip or pelvis (in some cases, the patient receives this from a bone donor) and used to create a protective bridge for the slipped vertebral bone to rest upon, and to protect the vertebral bone underneath. This bone graft may also help stimulate new bone growth. In a portion of cases, the patient may require that their spinal column be stabilized. As such, an additional fusion procedure may be performed using metal implants to protect the spinal column during the healing process. Two minimally invasive procedures commonly used to treat vertebral compression fractures, include vertebroplasty and kyphoplasty. During vertebroplasty, the patient is asked to lie on their stomach. A needle is inserted through the skin into the affected vertebra. Similar to other procedures, an X-ray device or fluoroscopy is used to ensure that the physician has properly placed the needle. Once proper placement has been assured, cement is injected into the spinal vertebrae. This works to restore length to the spinal column. Additionally, it can act to straighten excessive spinal curvature. The procedure for a kyphoplasty is quite similar, except that an inflatable balloon is inserted rather than cement, to provide length and protection. In many instances, patients may only remain in the hospital for one night following a vertebroplasty or kyphoplasty procedure. A small portion of patients may be discharged the same day. Surgery to replace a damaged intervertebral disc is quickly becoming a popular option. A disc replacement surgery is performed by installing an artificial intervertebral disc between the vertebral bones once the damaged disc is removed. This procedure has been shown to significantly increase the mobility of the spine itself. Recovery time following this procedure is also much shorter than that following a spinal fusion. It wasn’t until 2004 when the Food and Drug Administration approved the use of this procedure within the United States. Ideal candidates for disc replacement surgery are patients who have reported chronic and severe pain from one or more vertebral discs. Ideally, these patients will not have any evidence of nerve compression or facet joint disease. Additionally, patients who are obese should not have had any previous surgeries conducted on the spine. Further, they should be free from evidence of spinal abnormalities (e.g., scoliosis). Once the procedure has been completed, patients are generally encouraged to begin standing and walking around. This procedure does not require that the bones begin healing before the patient is permitted to return to their daily activities. Nonetheless, most patients who have had disc replacement surgery are required to remain in the hospital for two to four days. It is not uncommon for patients who have undergone disc replacement surgery to report reduced but persistent pain following the procedure. As such, scientists are exploring alternative approaches to disc replacement surgery. Ideally, a procedure will be developed to improve postoperative results. Following back surgery, the length of time that patients are asked to remain in the hospital for recovery will depend on the exact procedure performed, as well as other factors uniquely related to the patient. In general, patients are held in recovery from between one to five days. A portion of patients may be recommended to participate in physical therapy following their procedure. The goal of physical therapy is to shorten the patient’s recovery time, increase strength, and improve flexibility. While in many cases the patient will report almost instant relief from pain, it is not uncommon for other patients to not experience full symptom relief for several weeks or even several months. Many patients can experience significant benefits in terms of their symptoms of chronic and severe pain following back surgery. The key is for the physician to arrive at the proper diagnosis prior to surgery. As such, it is important for patients to undergo a thorough diagnostic evaluation with a highly trained and skilled physician. As with most other medical procedures, there are some risks associated with back surgery. The most commonly reported side effects experienced by patients following back surgery include allergic reaction to anesthetic medication, allergic reaction to other drugs used during the procedure, infection, and bleeding. In some instances, the patient may be at an increased risk for developing blood clots following the procedure, either in the legs or the lungs. There is also the potential for the patient to experience a stroke or heart attack as the result of undergoing back surgery. For patients who have had surgery to repair disc herniation, there is a possibility that the intervertebral disc will herniate again. This is likely because the disc material has weakened and deteriorated over time. One of the more serious risks associated with back surgery includes the possibility of nerve damage. Should this occur, the patient might experience increased pain, paralysis, muscle weakness, loss of bowel or bladder control, or sexual dysfunction as a result. For a portion of cases, patients may not experience relief from their back pain following surgery. Moreover, there is some risk that the surgery leads to more severe pain. Other risks are unique to the technique used during the procedure. For example, patients undergoing a spinal fusion procedure, which is the most commonly performed surgery for treating back pain, may experience restrictions in terms of their movement and an impaired ability for their spinal nerves to stretch, owing to the fusion of the spinal vertebrae. Another risk specific to the spinal fusion is an incomplete fusion of the vertebral bone. This then requires that additional procedures be performed to correct the problem. Studies have shown that patients who smoke are at an increased risk for an incomplete fusion. Moreover, patients who smoke are more likely to suffer from infections following the surgery than nonsmokers. For patients who have undergone a laminectomy there is some risk for partial loss of spinal stability following the procedure. This is because portions of the bone and ligament, which act to stabilize the spinal column, are removed. Should it be deemed that the patient’s spine is unstable as a result of too much tissue removal then it may be necessary for the physician to also perform a spinal fusion. There is a similar risk associated with patients undergoing a foraminotomy. Given that this procedure also requires the removal of bone tissue from the vertebrae that comprise the spinal column, it may be necessary for the physician to perform a spinal fusion, in order to stabilize the spine. Both the laminectomy and foraminotomy may be performed in conjunction with a spinal fusion. This is ideal, as it reduces the need for multiple procedures. Other risks associated with these procedures in particular include spinal nerve injury, bleeding, increased pain, changes in sensory sensitivity, and infection. Patients who undergo a discectomy are at an increased risk for leaking spinal fluid, infection, or bleeding. Patients may also suffer injury to their spinal nerves or blood vessels during surgery. Further, the protective sheath that covers the spinal cord may also become accidentally injured during the procedure. This may even lead to increases in their symptoms of pain following the procedure. The procedure for disc replacement surgery may increase the patient’s risk for internal injury. This may occur if the artificial disc becomes dislodged, bends, fails to function properly, or even breaks. Patients may even experience increases in pain should this occur. Further, patients undergoing disc replacement surgery are at an increased risk for suffering from an allergic reaction to the material comprising the artificial disc. This may then lead to tissue swelling, tingling, numbness within the extremities, infection, or loss of function to the area of the spine treated during the procedure. There are more serious risks associated with this procedure, including bleeding internally or pooling of the blood underneath the skin owing to a hematoma, or severed blood vessel. Patients may also suffer from the formation of blood clots, which increases the risk for stroke. There is some risk for nerve damage during this procedure, and in rare instances, patients may report paralysis. While there are some risks and side effects associated with each type of technique for performing back surgery, there are a number of benefits. In fact, many patients are afforded several years of relief from chronic, severe, and debilitating symptoms of pain. These patients are expected to experience benefits in other areas of their life. More specifically, it is expected that these patients will sleep better, report being in a better mood, be more active, and require less medication. In some instances, patients may be able to return to work and go on to lead productive lives following their successful back surgery. Chronic back pain is a very common condition affecting adults. In fact, studies have suggested that most adults will experience difficulty with regard to back pain at some point during their adult lives. In some cases, chronic back pain can be so severe and persistent that it has been largely unresponsive to previous treatment attempts with over-the-counter medication, prescription medication, or even corticosteroid injections. These symptoms can then begin to have detrimental impacts on the patient’s daily functioning. In these instances, back surgery may be warranted, given that other treatments have been unsuccessful. Patients who are interested in back surgery are encouraged to consult with a physician who specializes in conditions affecting the spine. Once the physician feels confident in the correct diagnosis, then the appropriate technique can be chosen. As with most surgical procedures, there is some risk associated with back surgery. While there are a number of risks associated with this procedure, many patients are expected to experience significant reductions in their symptoms of chronic and severe pain. This relief from pain is also expected to have beneficial effects in other areas of the patient’s life. Patients who are interested in whether or not back surgery is right for them are encouraged to speak to their doctor about the risks and benefits of the procedure. Deukmedjian AJ, Jason Cutright ST, Augusto Cianciabella PC, Deukmedjian A. Deuk Laser Disc Repair(®) is a safe and effective treatment for symptomatic cervical disc disease. Surg Neurol Int. 2013;4:68. Ohtori S, Yamashita M, Yamauchi K, Inoue G, Koshi T, Suzuki M, Orita S, Eguchi Y, Ochiai N, Kishida S, Takaso M, Aoki Y, Ishikawa T, Arai G, Miyagi M, Kamoda H, Nakamura J, Takahashi K. Low back pain after lumbar discectomy in patients showing endplate modic type 1 change. Spine (Phila Pa 1976). 2010;35(13):E596-E600. Spoor AB, Öner FC. Minimally invasive spine surgery in chronic low back pain patients. J Neurosurg Sci. 2013;57(3):203-218.